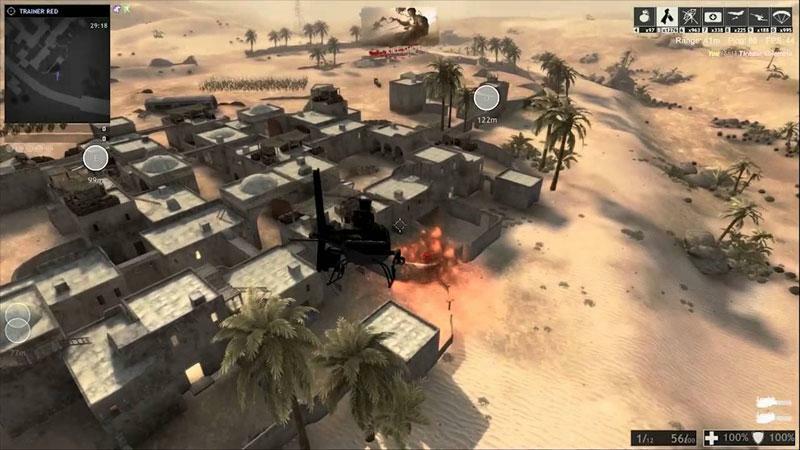 The third installment in the Red Crucible MMOFPS game franchise, Red Crucible: Firestorm updates the game by focusing on a "war against terrorism"-styled game play. Several updates to the game have been included like updated maps, new vehicles and items. Game play has also been improved in comparison to its first 2 predecessors. The game can be played by downloading it from Steam or any of the game’s online distribution portals. An option would be to play it via web browser in which case a Unity Engine plug-in would have to be downloaded in order to work. However, the game runs on Windows 7 and up and requires at least 4GB of RAM. Choosing character from the Main Menu will bring you to the character options screen where you can custom create your own game avatar. Customization is straight-forward as you can choose from a menu of gear that your character is wearing from the head, vest, pants, boots, etc. all conveniently located on-screen. 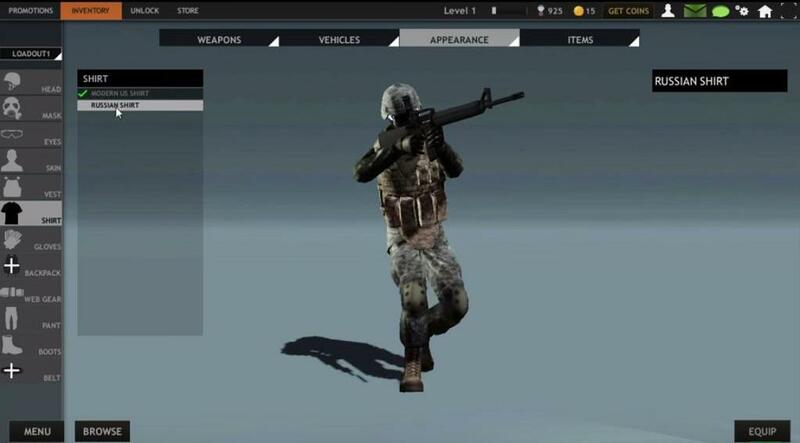 Other customization options are located at the upper part of the screen and these are Weapons, Vehicles, Appearance and Items. Of course Appearance is the customization option above while Vehicles gives you the option to choose a vehicle you can use in vehicle combat mode. This include a Tank, a Transport Chopper, Attack Chopper, and an APC among others. Weapons are categorized into three, Primary, Secondary and Melee. These weapons will also depend on the class of character you choose. These are Assault, Sniper, Support and Demolitions. Weapons vary from the standard issue military arsenal (side arms, sub-machine guns, rifles, etc.) to the classic and unique firearms of long ago or futuristic designs. These come in colorful weapon skins depending on your choice. Items are composed of consumables, boosts and chests. Consumables are support weapons that you can use from Grenades to Claymore's, Mini-guns and Air-Strikes, Boosts give you extra advantages you can use in-game while choosing a Warchest with the right combination of items inside will hopefully give you the things you can really use in the midst of frantic game play. The Store option lets you browse items that you can purchase for use in game. This include those exotic weapons with eye catching skins, advanced weapons that will give you “The Edge” and other items that will make the gameplay much easier for you. Of course the catch is you’ll have to spend real money to purchase in-game gold coins to purchase in-game items to use in-game. The maps are attractively made. Locations vary from a desert to a town and even on board a ship. The graphics may not be at par with those of Battlefield or even CS:GO and some of the maps may seem a little bit small but the immersive game play is good enough to make up for it. The sounds are somewhat on the short side. Some of the noises and sound effects like weapons fire, engine sounds among others fall short of matching that which supposedly caused them in the first place. Movement is erratic at times and the game seems to have an unbalanced feel to it. 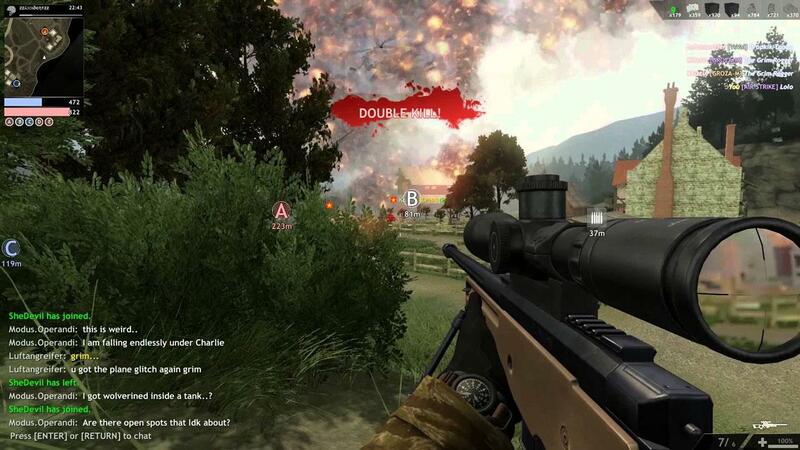 Nevertheless, withstanding all these aside, if you love to play FPS and game play is far more important to you than game eye candy, Red Crucible: Firestorm will definitely bring you many hours of fun and adrenaline high as you battle it out online (sorry, no single player) on this PvP Arena. Again, it’s Free2play.